Dr. P.W.A. 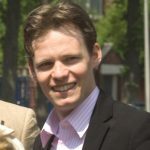 (Peter) Scholten is assistant professor of public policy & politics at the Erasmus University of Rotterdam. His research, publications and teaching focus on issues of governance in multicultural societies. He is currently doing various research projects: Beyond National Models of Integration: Agenda Dynamics and the Multi-Level Governance of Immigrant Integration (Dutch Science Foundation NWO), The Local Politics of Attention: local policy agendas in a comparative and historical perspective (NWO program on Contested Democracy), Promoting sustainable policies for integration (European Commission Fund for the Integration of TCN’s) and Research-policy dialogues on migration and integration in Europe (IMISCOE). Peter published in various international journals, and his new book, Framing Immigrant Integration: Dutch research-policy dialogues in comparative perspective, will be published with Amsterdam University Press in 2011.